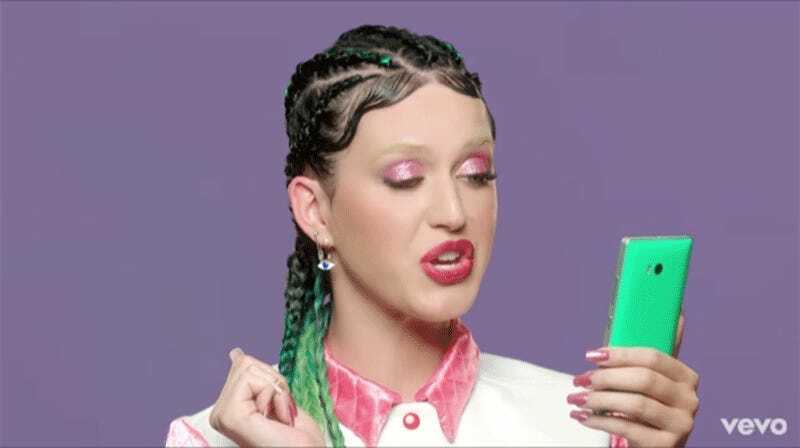 When I will inevitably get called a racist for cheering cultural miscegenation, I might borrow a line from the director of Taylor Swift’s new video, who wrote: “I am down for cultural appropriation. That sounds hot. Appropriate me.” Feel free to steal it as well. I bring this up early because I think it’s important to acknowledge that Weiss knows what she’s doing. Let’s not waste too much time dissecting a condescending troll of a piece that maybe willfully, maybe unwittingly disregards a lot of the conversation around appropriation for the sake of rendering counterfeit common sense. These takes, though, disregard the actual logic at hand, which doesn’t treat modern history as a level playing field. It’s a common pitfall of white people to think they were born into a world where all things are generally equal with capitalism sorting out whatever’s left to be done there; where all behavior can be judged on a single moral scale regardless of who’s doing what; where it’s possible to just move on from the past because we’re in the present, damn it. It’s not that simple. There has been no reckoning for certain disparity and cultural crimes. Take blackface minstrelsy, for example, in which the imitation of black people by white performers was rendered into massively popular theater and music. Eric Lott points out in Love & Theft: Blackface Minstrelsy and the American Working Class that these shows introduced cultures to each other, and in fact marked “the first formal public acknowledgement by whites of black culture.” Minstrelsy was among the first distinctly American types of pop culture, founded upon stereotypes and racist assumptions about black sexuality, and its issues were never formally resolved, just contorted with its most overtly hateful aspects muted. “Every time you hear an expansive white man drop into his version of black English, you are in the presence of blackface’s unconscious return,” writes Lott. And so, to keep on the tread of popular music, we had Elvis, he have Timberlake, we had flash-in-the-pan Iggy Azalea. Now, it’s reasonable to argue that influence is a sort of natural fuel for artists, and if we are taking them at their word that their expression is legitimate (a dubious prospect in both capitalism in general and pop music in particular, but let’s consider the benefit of the doubt for a second), you’d have to catch these white artists in many cases during childhood to dam the potential for future dabbling in black-devised forms. It’s prickly, and I’m not sure the answer is a blanket, “Don’t ever sing R&B, white boy.” But then, I don’t know what the answer possibly could be, anyway. I’m nowhere near as confident about all this as Weiss seems to be. You can’t parse out the cultural blending that, in Weiss’s words, “makes American culture so rich, but it is also a big part of the reason America is so successful” from the theft that America, here specifically American pop culture, was founded on. The blending, in fact, has a history of being forced by whites in power. And so people take to their computers and their college seminars and their private conversations and they try to work this out because as long as there are people like Weiss steamrolling nuance and reading history selectively, that’s all most of us who actually care about this stuff can do. None of this means that all cultural appropriation should be cheered: Sometimes it’s just in plain old bad taste. (See under: ear gauges.) But so long as the impulse is one of homage and not derision, we should encourage borrowing. Culture should be shared, not hoarded. Translation: “Don’t crucify me for this.” Well, good luck with that.